You know me…. I like to dump all my thoughts out to get them organized, and then reference them later! So here it is… a giant brain dump regarding the 5745 house. And HOW are we going to get there? Or, SHOULD we even go that far? We estimate the cost if we DIY everything ourselves to be less than $500…..just a lot of elbow grease needed! (But that doesn’t include countertops). 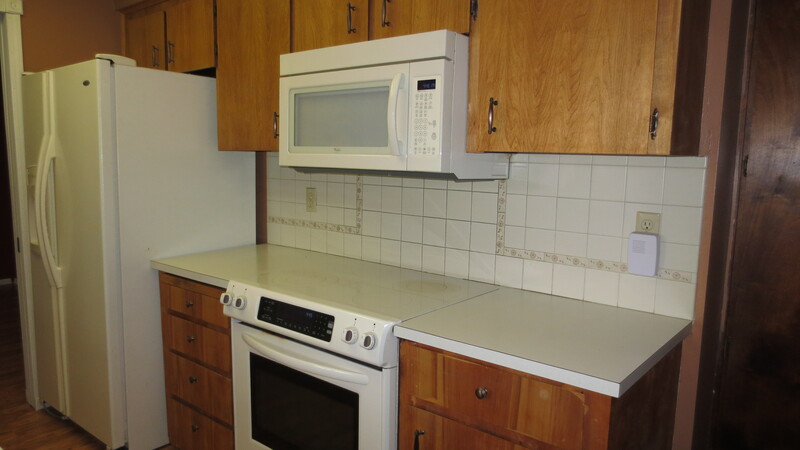 Cabinet Painting: the appliances are all bisque except for one stainless steel dishwasher. 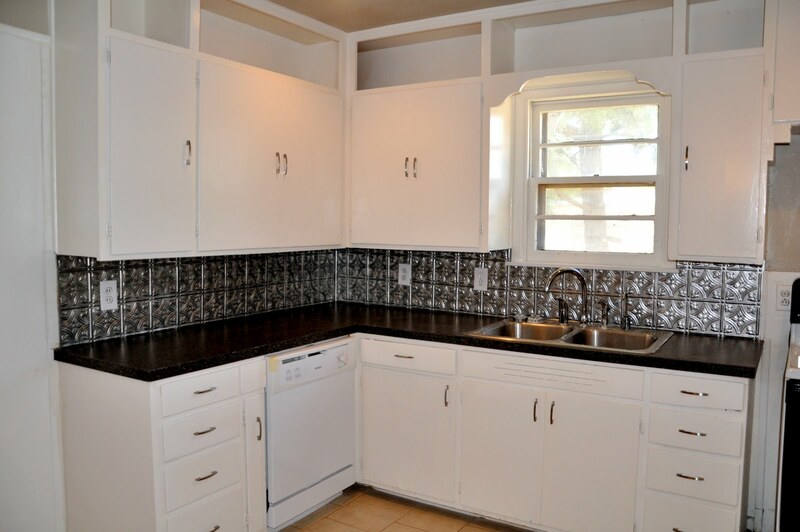 We decided to make the bisque look more modern by painting the cabinets the same bisque color. And to make them even more stylish we’d convert them to shaker style by adding trim pieces to each door! We like the current hardware, so we’ll reinstall that. 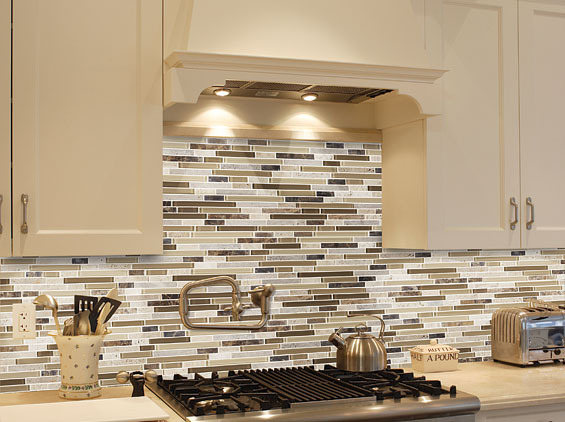 But there’s a catch…..there’s a counter height issue that if we don’t address now, we might have to address later, meaning whatever we do to the backsplash is only temporary and might need to be torn out. Problem #1) The floor has been built up and when the range was replaced several years ago- holes were cut into the floor for the feet. That’s at least 5/8″ of flooring cut out! And when their dishwasher broke, it had to be cut out in pieces- it was locked in by the flooring. The owners replaced it with a specialty sized one (ADA). This means down the road should either appliance go out, it’s going to be a hassle to replace. The simple solution is to raise the counter up the 1/2″ – 3/4″ so that standard appliances will fit easily (and we can fill in those holes in the floor!). This would mean: remove the current counter, add a trim piece to the top of each cabinet, install a new counter on top- voila! our problem will be solved. We can then patch the floor that was cut out and put a piece of plywood under the dishwasher to raise it appropriately- and we’re set! BUT, not so easy. Because…. Counters: The current counters are in great shape, it’s just that the formica is pretty dated. The simplest solution would be to cover the counters with new laminate and deal with the window issue later; deal with the counter height issue later, too. Or we can use the Rust-Oleum Counter Transformations. 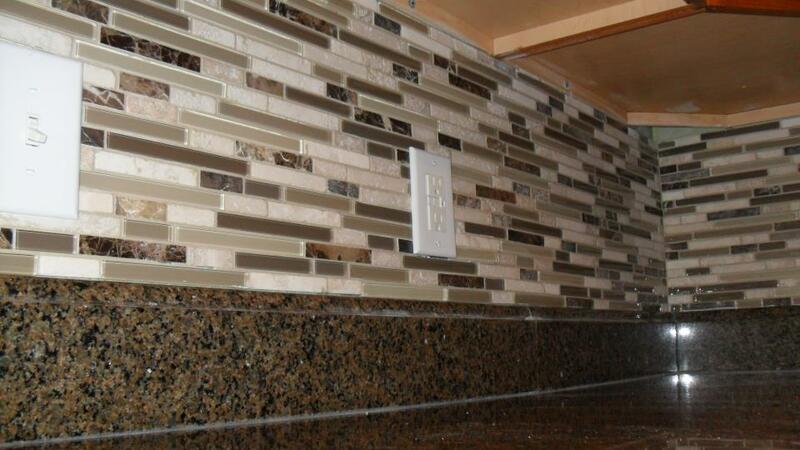 Paired with the Costco mosaic tile- it would be perfect! BUT, whatever backsplash we put up, will have to come down when we pull the countertops out, so we hate to invest too much money into that. 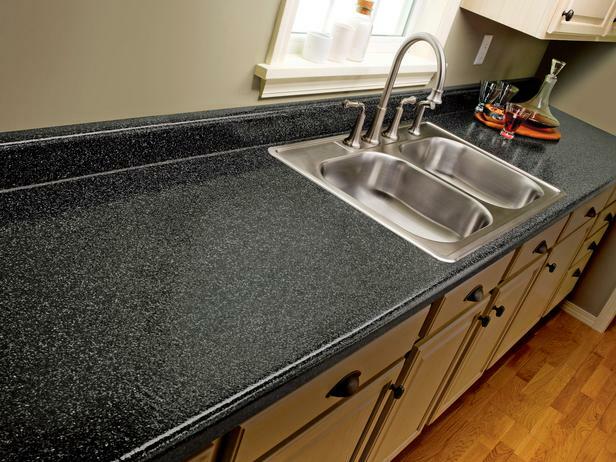 OR, we upgrade to solid surface counters (think Corian) which would have a 10-year warranty and include a new acrylic sink and installation- for an extra $2,300 + window swap out and reframing and installation, etc. Anyway….that’s our current project. Overhauling a kitchen! Stay tuned!